It's easy to transform a small space into a large one using easy decor tricks, but big rooms present some of their own challenges. Whether you live in a loft, have a living room with extremely high ceiling or simply have a lot of space to fill, we are here to help you make the most of it. 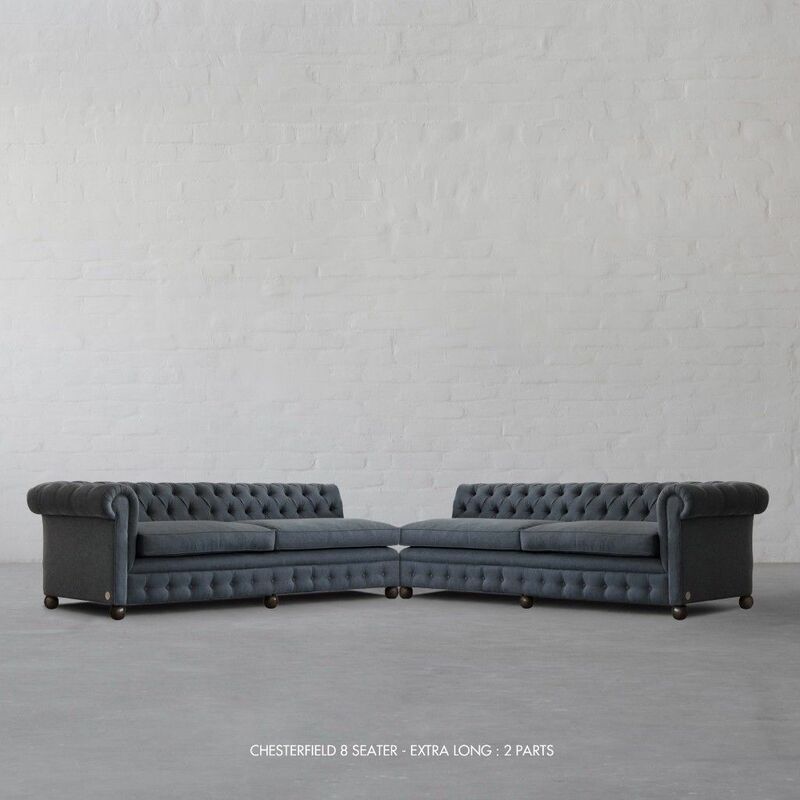 The Chesterfield conjures visions of English libraries or men’s clubs, with its tufted back, high rolled arms, and tufted facade. 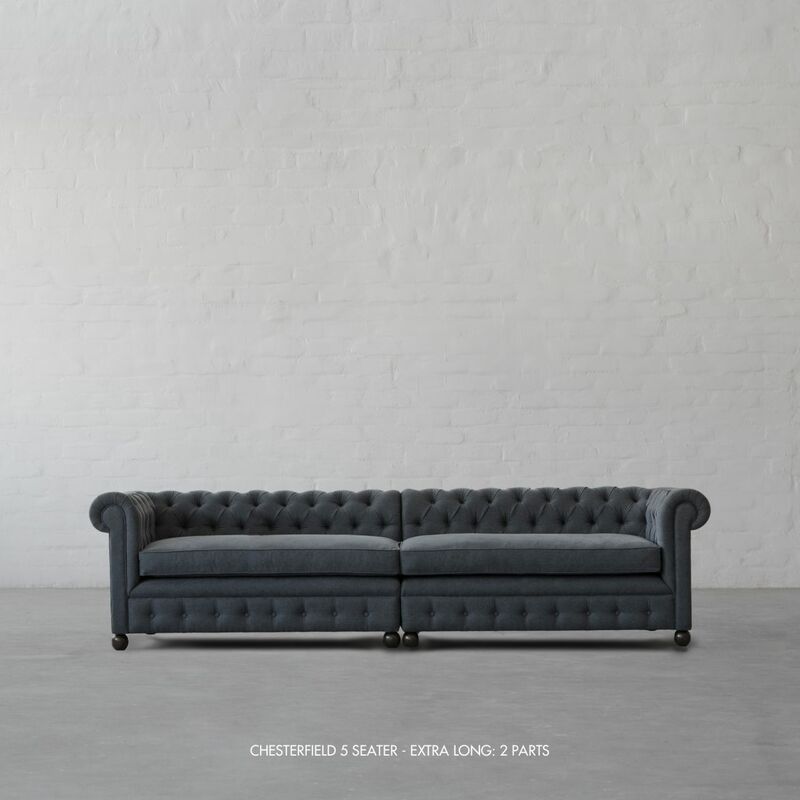 Our take on this classic brings in enormous charm to your living room with this beautifully handcrafted masterpiece by one of our 4th Generation sofa artisans. 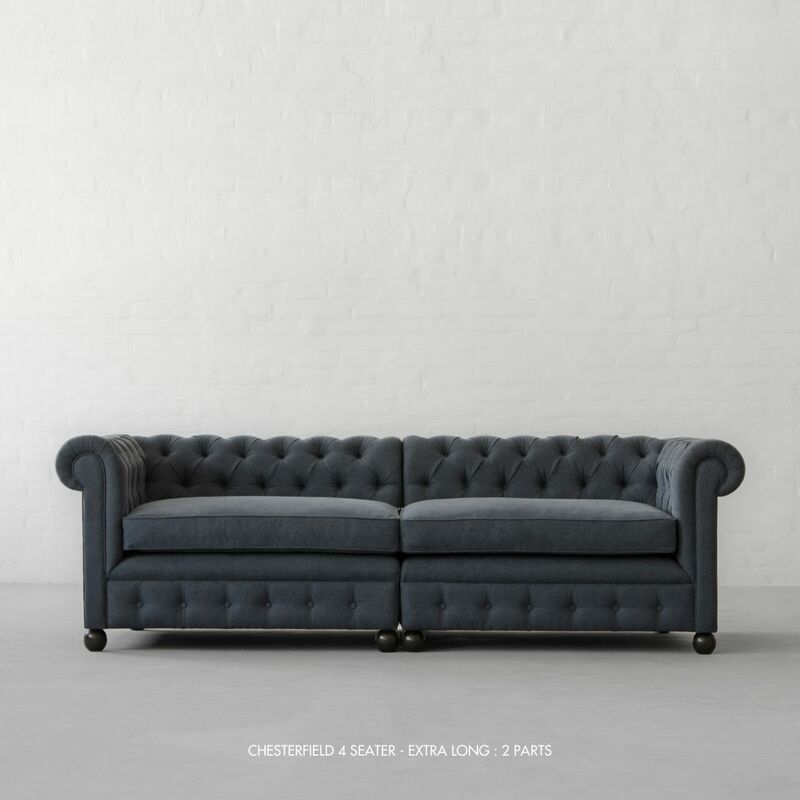 Today, the chesterfield is considered one of the most popular and stylish classic sofa. 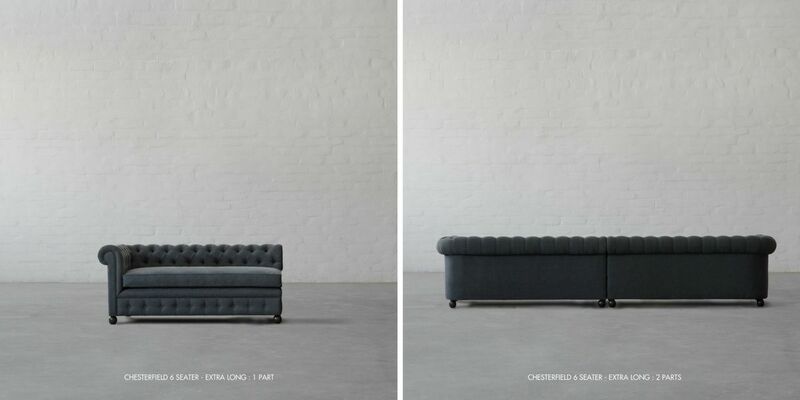 Our New Chesterfield Extra Long in 2 Parts is convenient for moving around staircases and easy to install. 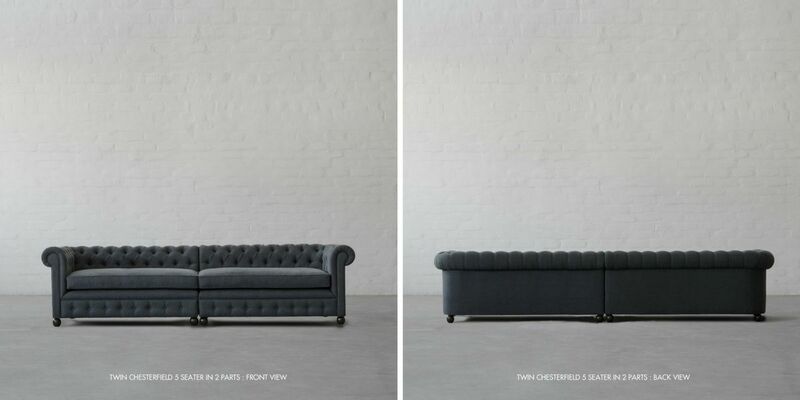 You can even customise it to your space requirements, call us for your custom size. 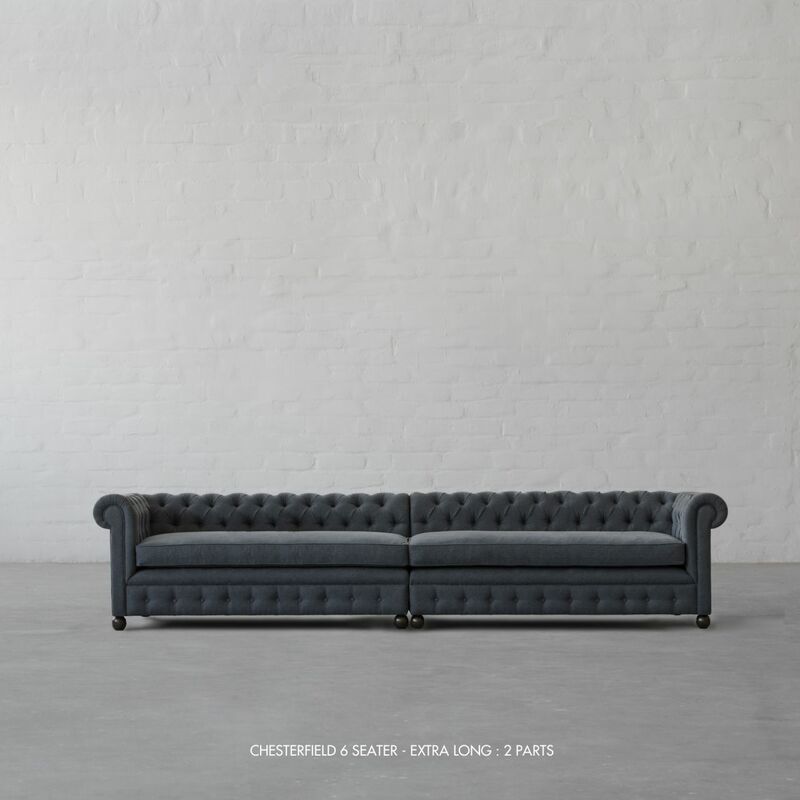 There are plenty of ways one can plan decor for large spaces but the most important - is to invest in large furniture pieces. 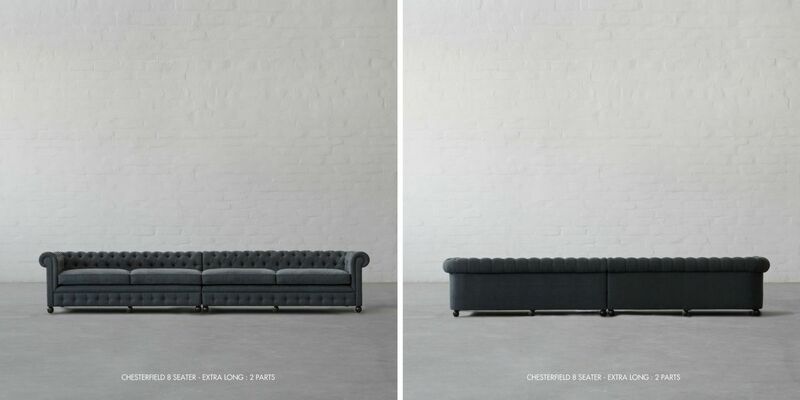 They not only add grandeur but also create more seating for large gatherings and may you have many!